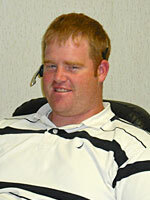 Jeff Simonsen is a broker and market analyst of Midwest Market Solutions. Jeff grew up in Yankton, SD, and graduated from Yankton High School in 1998 and from the University of South Dakota in 2002. While attending USD Jeff was accepted into the School of Business and specialized in finance. He is married with two children.